Just because it’s the summer season that doesn’t mean you can’t enjoy being outside with family and friends. Sure, you’ve got to be smart about beating the summer heat, but if you know how to do that (and here are some great tips) you can still enjoy time outside your home. Here are some amazing ideas for outdoor entertaining this summer. If you enjoy eating outside on your patio, deck, or lanai, you can spruce things up with fun dishes for the outdoor season. Pick a floral pattern or simple something bright and “outdoorsy” to use for casual fun. These dishes don’t have to be fine china—pick up something fun, funky, and playful at Pottery barn or even Target. When the heat goes up outside turn the heat down on the food you serve. Try cool chef salads or experiment with a gazpacho. Serve fruit salads and/or cucumber salads that are cool and refreshing. For deserts, you may want to experiment with Italian ices or some sorbets. There’s something captivating and inviting about watching a fire with friends on a dark summer evening. And while you won’t need to heat yourself by the fire, it’s still fun to roast marshmallows or make a s’more or two (and it’s particularly fun if you have kids or grandkids)! The days of drive-in movies may be gone, but that doesn’t mean you can’t still watch movies outside! Amazon.com has a number of inexpensive outdoor projectors you can purchase. You can also purchase a screen, hang up a sheet, or simply project against the wall of your house. If you don’t want to purchase a separate unit, most large-screen televisions these days are light enough to move easily (and Wi-Fi means you don’t have to mess with cords). There are plenty of classic movies available on a variety of streaming services, so you shouldn’t have a problem finding something everyone will enjoy. If you enjoy having music in the background, you may want to consider some kind of wireless sound system that can pick up your favorite tunes from your computer, tablet, or phone and play them outside. Music systems today are generally small enough to stay out of sight—while still delivering great sound. By the way, this will also enhance your movie-watching experience. Make sure your deck, patio, or lanai furniture is comfortable. One of the growing trends in home design and remodeling is the blurring of lines between indoor and outdoor living. That includes furniture. You’ll want outdoor furniture that’s as comfortable (and good looking) as the furniture in your home. The days of nylon weave folding chairs for deck furniture are long gone. You can choose from a wide variety of styles and materials. 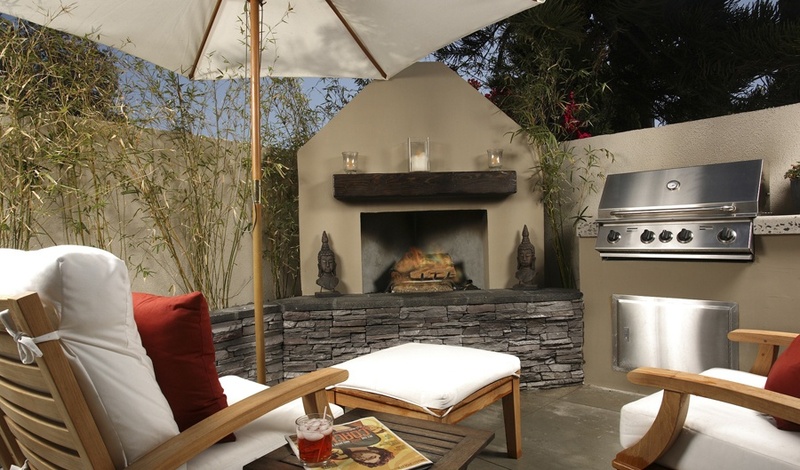 Browse through houzz.com to check out their selection and recommendations for the most popular outdoor furniture.